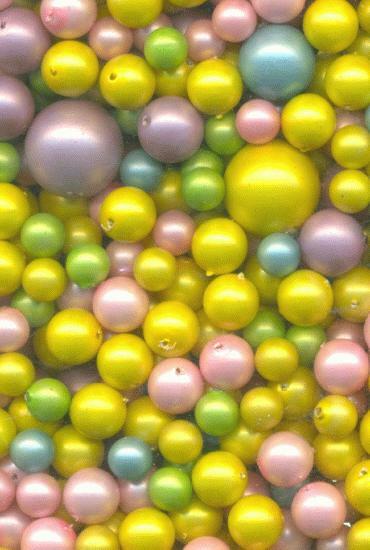 Price listed is for an ounce of acrylic beads. These are mixed acrylic beads ranging in size from 8mm-18mm. They are mixed pastel colors. These beads are mixed between fully drilled and partially drilled. The holes of the drilled beads range in size from 0.82mm to 1.3mm. A sample ounce pulled had 53 beads, however this number will vary. These will need to be cleaned.